One person is of more value than a world. 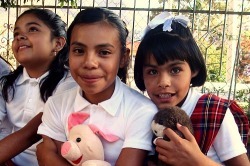 Buen Pastor runs an "internado" for girls, kind of like a weekly foster-home. Some of the girls stay permanently. 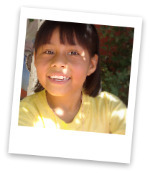 Sometimes, the girls come from dire poverty and their parents can't afford to keep them. Other times, families are going through crisis and need a place to hold their children for awhile. Still others come from violence and are placed in the internado by the State. The Madres provide a nourishing environment for the girls. You can feel the love in the home and warmth radiating from the girls when you come to Buen Pastor. 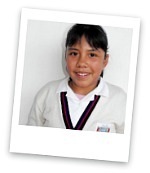 There are usually between 20-30 girls in the internado between the ages of 3-18. As you can imagine, it takes a lot of time and resources to raise girls. 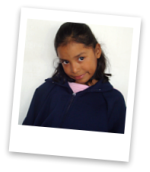 One way that you can get involved in securing a girl's future is to pay for her living expenses. $55 USD a month will cover the the costs to feed, shelter, and clothe a girl. 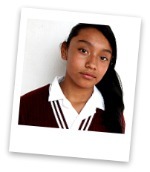 Please consider sponsoring one of the girls below. You can set up a subscription for automatic monthly donations or make a one time contribution easily on our Support Page. Alejandra loves to slide and play house. 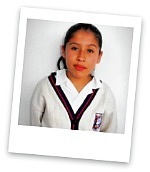 She and her sister, Gabby, are from Chiapas. She's too little to know what she wants to be when she grows up, or what she would like to do as President. For now, she just likes it when Blanca holds her and Madre Berta combs her hair. When she grows up, Kenia wants to be a chef. Her favorite meal is fish and picadillo. Her greatest wish is to see her father. Pearlita likes to climb, hop, and dance! At Kinder, there's a play kitchen and she pretends she's making soup. She wants to be everything when she grows up. As President, she would make everyone a Princess. Diana has high hopes of owning her own beauty salon someday. Ever since she can remember, she used to style her Barbies' hair and do their make-up. She still does, even today. She enjoys her science classes in school. As President, she would distribute more scholarships for young people who want to go to school. 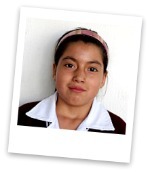 Sarita's favorite subjects in school is math. She loves playing video games and skating. Sara dreams of becoming a great artist one day. The first thing she would do as President, would be to construct hospitals where patients would be given the opportunity to create art. If she were President, Anette would help abused women. When she grows up, she would like to be a Vet. Her favorite dish is shirmp cocktail. Her greatest wish is that her family could always have good health. Bianca loves to read, sing, and dance. Her favorite day is Saturday because she gets to rest. Bianca would like to learn English. As President, she would provide clean water for all. 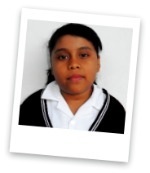 Fatima's favorite subjects in school are art and drawing. She plans on being a teacher someday. As President, she would build more foster homes, especially ones for boys and homes for the elderly who are alone. Her greatest wish is to see her two brothers. They went to Arizona a long time ago and work in a restaurant there. 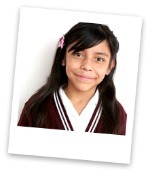 If she were President, Alondra would donate money to children who have no food and no toys. When she grows up, she wants to be a swimming instructor. 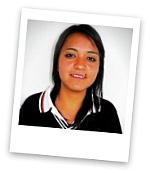 She loves pizza and she also loves her English classes. 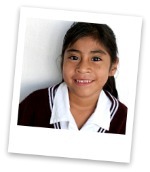 Julieta already knows she wants to be a teacher when she grows up. She likes studying mathematics in school. If she were President, the first thing she would do is help the Madres at Buen Pastor so they could continue caring for her. Julieta loves chocolate. 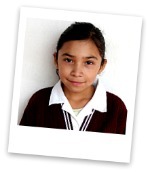 Jocelyn's favorite class at school is Math which is useful for an aspiring architect. Out of class, she likes hanging out with friends. As President, she would build more homes for street kids. 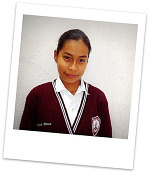 Her greatest wish is to realize her dream of becoming an architect. 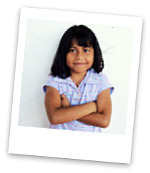 Someday, Alejandra hopes to be an elementary school teacher. She loves sports, especially swimming and basketball. What makes her happy? Many friends. If she were President, she would like to create jobs for women living in shelters so they could gain self-esteem and independence. 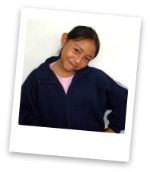 When she grows up, Valeria would like to be a nurse so that she can take care of the sick. Her favorite class is math. Her biggest wish is that her family could always be together. Gloria would like to be a chef one day. She enjoys her Spanish class more than any other. She also loves playing hide-and-seek with her friends. As President, she would create more Padres de la Familia or Parent Associations. 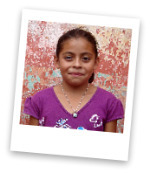 More than anything else, she wishes her entire family could be reunited. 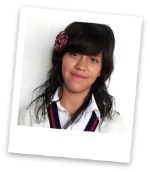 Cinthya's favorite subject in school is science. Her dream is to become a veterinarian when she grows up. She likes to dance like Michael Jackson. If she were in charge, she would help people get off the street and give them the treatment they need, including tickle therapy. 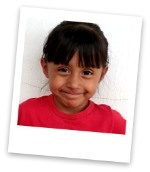 Gabby loves playing with friends, and she has plenty of them at Buen Pastor. She's learning how to skate and enjoys singing. Her favorite subject in school is English. She's not sure what she would do if she were President. If she were President, Carmen would ensure everyone had enough to eat. When she grows up, she would like to work for the fire department. Her biggest wish is to go to the beach. Citlali is an Aztec name for "star". Citlali shines brightly by being a friend to everyone. Her favorite thing to do in school is to read. 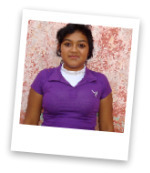 At Buen Pastor, she likes to skate, color, and mop. She has dreams of becoming a pediatrician someday. As President, she would create more Fiestas! 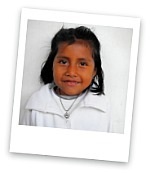 Magali wants to be a pediatrician when she grows up. 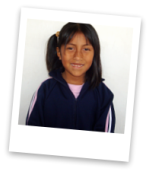 She likes playing with her friends, and her favorite class is Spanish. 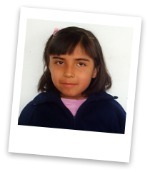 As President, she would plant fruit trees at all the foster care homes, like the one at Buen Pastor. She wishes she had a pair of skates. Jessica loves math. Someday, she hopes to be a psychologist, working with adolescents. If she were President, she would ensure that it's possible that everyone receives an education and make school mandetory. What's her greatest wish? World peace! If she were President, Alondra would help those who most need it. She hopes to be an artist one day, a painter. Her favorite food is soup with rice and flautas. 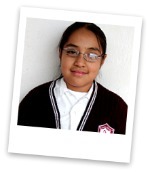 Her favorite class is Spanish because she loves to read. 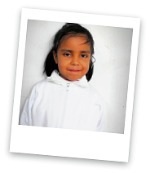 Frida’s wishes are simple: to help children, to help her mother, and to have her own doll. She likes to eat bread. She loves to draw. Daneli plans on being a criminologist when she grows up. Her favorite subject in school is history. If she were President, Dani would help those in need, especially poor people addicted to drugs. 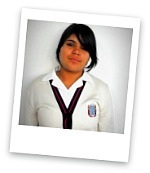 Daneli is the first girl at Buen Pastor attending Prepa and is a role model to everyone. 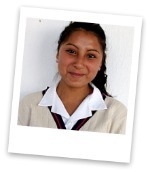 Monse, short for Montserrat, enjoys her Science classes. In her free time, she likes to embroider cushions when she is not spending time with friends. 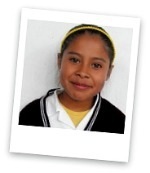 She wants to be a teacher when she grows up, and her greatest wish is that she realizes this dream. As president, Yuma would open more schools. She wants to be a lawyer when she grows up. She likes eating milanesa. Her biggest wish is to fullfill her own potential. If she were president, Samara would build play spaces for children. She wants to be a doctor when she grows up. Her favorite food is strawberries and cream. Her favorite class is Spanish. 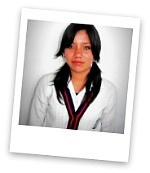 Diana loves learning English in school. She wants to be a teacher when she grows up. She paints and studies when she's not in school. As President, she would ensure that every child went to school and that they never went hungry. Carolina is learning how to write her name. She loves to play with Barbies and she wishes she had more. If she were President, she would build housing for the poor and paint them with vibrant orange and yellows. 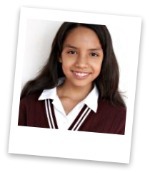 Daniela wants to be a lawyer when she grows up. 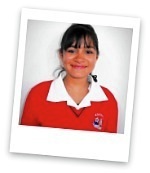 She enjoys studying Spanish and History in school. When she's not in school, she loves reading history stories. If she were President, she would close all the bars and create play spaces for children. She likes chocolate. If she were president, Katia would help the homeless. 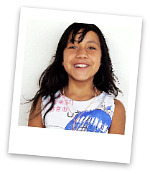 When she grows up, she would like to be a veterinarian because she adores animals. Her favorite food is Chinese and she likes Spanish class. 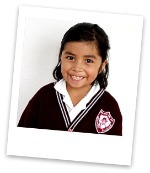 Evelyn would like to be a kindergarden teacher when she grows up. In school, her favorite subject is reading, but she takes all her classes seriously. She likes jumping a lot, and she tries her best to be good. If she were president, she would create anger management classes for children. As President, Rosa would focus on the economic crisis. 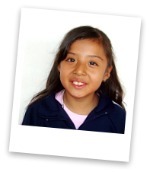 When she grows up, Kenia wants to be a Doctor, serving the sick and the poor. Her greatest wish is that her family was happy. 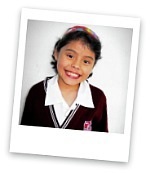 Fani's favorite subjects in school are mathematics and Spanish. 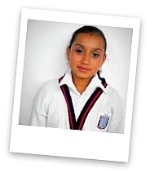 When she grows up, Fani would like to be an accountant. If she were President, she would build food kitchens for the poor so nobody would have to go hungry, especially children. Fani loves to sing. Fernanda likes her Spanish classes best. She likes to listen to music and make bracelets. As President, she would require students take dance and music classes in middle school. She wants to be an architect someday. Her greatest wish is to rid the world of pollution.